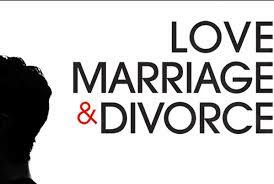 Nowadays mostly people ask that whether they would have a love marriage or an arranged marriage. In vedic astrology there are some planetary combination are foretold by which one can know about the type of marriage they would have. Let's have a look at these conditions. Vedic astrology can guess that towards which side a person's interest lies. Some people only have affair while others convert it into marriage. Let's talk about marriage and love affair. The 5th house in the horoscope is associated with love, creativity,social circle and relationship. If Rahu comes in this place then a person is drawn towards Love affair. It's conjugation with 9th place and with the Lord of 9th house person has affair. Apart from this the Dasha or antardasha of 5th and 9th house is also seen to have been causing affair. Rahu's association with 5th lord or even with higher zodiac will cause affair. Let's talk about marriage now. 7th house or if the owner of it is not taking part in it then only affair will happen not marriage. Any relation with 5th or 7 the Lord or house will cause love marriage. If the 7th lord has relationship with sun or Mars then a person has a fiery passion for love marriage. A person will be drawn to love marriage since childhood and if the real of lagan lord also comes in then 100% love marriage will happen. Along with 7th lord Rahu's relation also causes love marriage. If from anywhere the 7lord is weakened or shukra planet is unlucky then also love marriage will not happen.